We are very much back in the North West with this tie, and Bamber Bridge have won through with victories against Hemsworth Miners Welfare and Bacup Borough who they defeated 2-0 on Saturday at home courtesy of two late goals from Martin Crowder and Paul Lloyd in front of 152 spectators. The win over Hemsworth MW had also come at their home ground, the QED Stadium. Having drawn the first game 0-0 they recorded a 4-1 replay win to set up the tie with Bacup Borough. 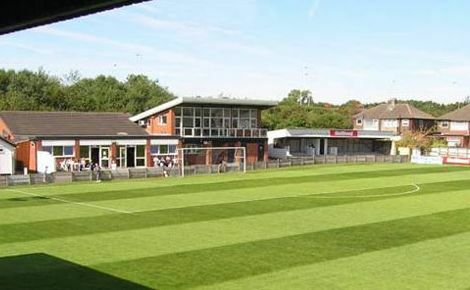 The two clubs, Warrington Town and Bamber Bridge, both play in the First Division North of the Evo-Stik League. Both have nine points, but Warrington have played five games whilst Bamber Bridge have a 100% record with three wins out of three. We might get some sort of clue as to the outcome of this tie which takes place on Saturday 25th September. The two sides meet in the league four days earlier, again at the QED Stadium. Given the way the cup run has started for the Clarets Mad teams you have to think Bamber Bridge must be favourites.